The Ancient City of Damascus is the historic city centre of Damascus, Syria. 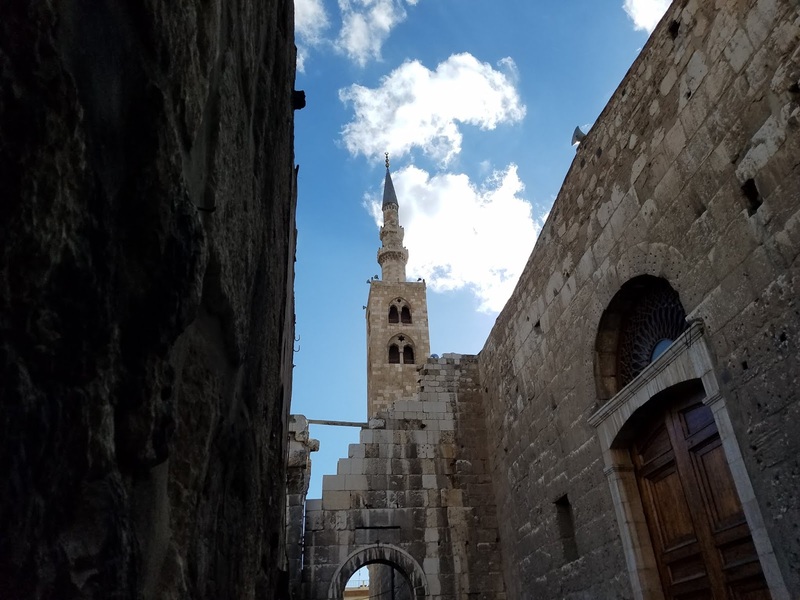 The old city which is one of the oldest continuously inhabited cities in the world, contains numerous archaeological sites, including some historical churches and mosques. Many cultures have left their mark, especially Hellenistic, Roman, Byzantine and Islamic. In 1979, the historical center of the city, surrounded by walls of Roman era, was declared a World Heritage Site by UNESCO. The first mentioning of Damascus was as "Ta-ms-qu" in the second millennium BC. The Semitic Arameans managed to establish the independent state of Aram-Damascus (11th century – 733 BC), naming the main city as ‘Dimashqu’ or ‘Darmeseq’. Damascus has a wealth of historical sites dating back to many different periods of the city's history. Since the city has been built up with every passing occupation, it has become almost impossible to excavate all the ruins of Damascus that lie up to 2.4 m (8 ft) below the modern level. The Citadel of Damascus is located in the northwest corner of the Old City. The Damascus Straight Street, was the decumanus (east–west main street) of Roman Damascus, and extended for over 1,500 m (4,900 ft). Today, it consists of the street of Bab Sharqi and the Souk Medhat Pasha, a covered market. The Bab Sharqi street is filled with small shops and leads to the old Christian quarter of Bab Tuma (St. Thomas's Gate). Medhat Pasha Souq is also a main market in Damascus and was named after Midhat Pasha, the Ottoman governor of Syria who renovated the Souk. At the end of the Bab Sharqi street, one reaches the House of Ananias, an underground chapel that was the cellar of Ananias's house. The Umayyad Mosque, also known as the Grand Mosque of Damascus, is one of the largest mosques in the world and also one of the oldest sites of continuous prayer since the rise of Islam. A shrine in the mosque is said to contain the body of St. John the Baptist. In the below video, I am inviting you to walk with us the street of old Damascus courtesy to The Channel.